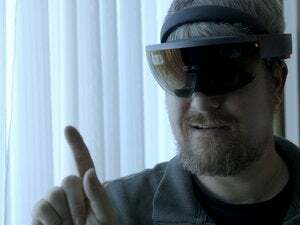 A report in the Wall Street Journal claims that Intel is independently building an augmented reality, 'HoloLens'-style device. Microsoft has a depth camera, which it has embedded in its Surface tablets and HoloLens augmented reality headset. Intel has its own version of the tech, dubbed RealSense... which it is now apparently building into its own “HoloLens”-style augmented reality device. The Wall Street Journal reported Wednesday that Intel is adapting its RealSense depth camera into an augmented reality headset design that it could license to other manufacturers. Intel representatives declined to comment on the report. As the publication notes, Intel has already developed an augmented-reality headset—sort of. 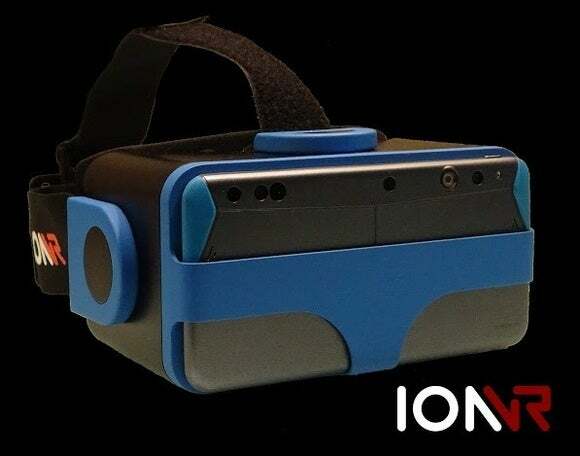 In January, it teamed up with a company called IonVR to announce that it was working on an augmented-reality headset that could work with a variety of operating systems, including Android and iOS. Naturally, it had a front-facing RealSense camera. Why this matters: Intel’s RealSense depth camera has been a work in development for several years, first shown as a viable product technology at the Consumer Electronics Show in 2014. Since then, however, RealSense has languished, and been eclipsed by Microsoft's Kinect sensor technology for use with Windows Hello in the Surface Pro 4 and Surface Book. An augmented reality product would help push Intel’s name back into the spotlight as the “Intel Inside” of a hot new product category. Intel may have decades of history as a technology leader, but it has never really mastered the concept of selling a consumer product. It bought smartwatch maker Basis Technology in 2014 for a reported $100 million or so, rather than develop its device. Recent speeches by the company’s chief executive, Brian Krzanich, have focused on third-party products that use its embedded Curie processor. The IonVR headset, however, may signal one way forward. For years, Intel has helped enable PC makers by spending billions on developing processors and related chipsets, then selling them to hardware makers worldwide. Smaller vendors have leaned more heavily on Intel’s own reference designs as an example of how to build their finished products. 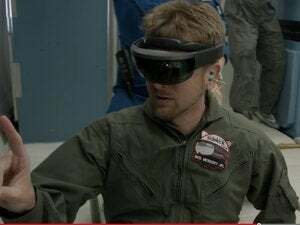 And the RealSense technology does offer one advantage that the HoloLens lacks: virtualization, or the ability to translate real-world objects into virtual space. Yes, the HoloLens can do this too, but RealSense can scan the user’s hands and translate them into virtual objects that can manipulate other virtual objects, according to IonVR. That’s technology the HoloLens currently lacks. So far, Microsoft’s HoloLens has yet to come to market, either. Microsoft released its $3,000 development kit this week (along with some previously undisclosed HoloLens features), but it hasn’t yet published a release date for the technology. So Intel, if it chooses, can still compete with Microsoft. Might we see “Wintel” partners in the PC space decide to compete in augmented reality?